Happy Hump Day! I've got two pieces of exciting news to share with you. The first is that we are finally going on a family vacation at the end of the month and I could not be more excited about it! We haven't gone on a vacation since last April (has it really been that long?? ), and we are in dire need of a warm getaway. Steve's been working so hard at work and it's just gotten busier for him. He needs a break, I need a break, and well, the girls don't need a break but could always use some fun in the sun. We are headed to Rosemary Beach, Florida after hearing from our friends how amazing it is. And after seeing photos of it online, were totally sold that it had to be our next vacation destination. 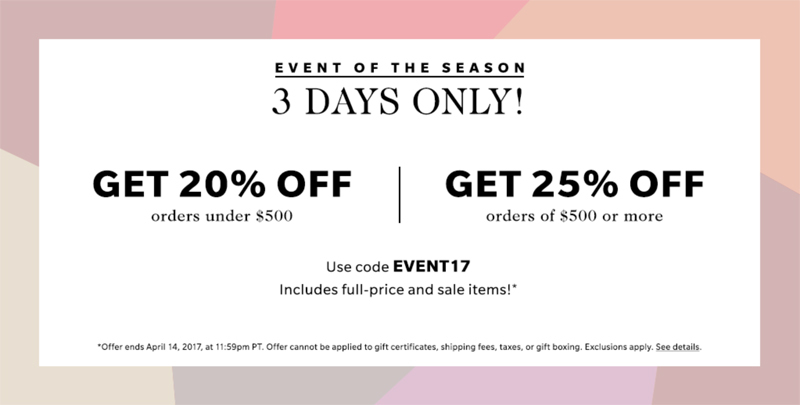 The second bit of exciting news is that Shopbop is having a huge sale and it goes until April 14, 2017. 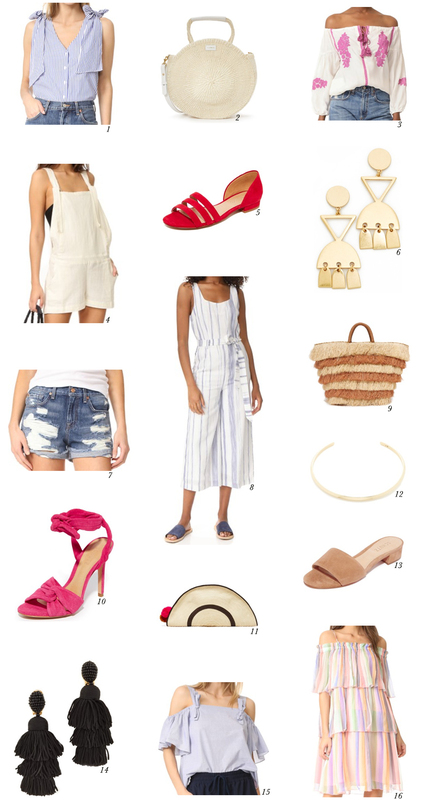 It could not come at a more perfect time since I need a wardrobe refresh for the warmer months and for our trip. I just purchased #1, 3, 5, & 6 and am hoping to take it all to Florida. Things are selling out fast, I actually missed out on a couple of items :( so make sure you check out the sale sooner rather than later to snag what you love. Happy shopping friends!